9" Tall & holds approx. 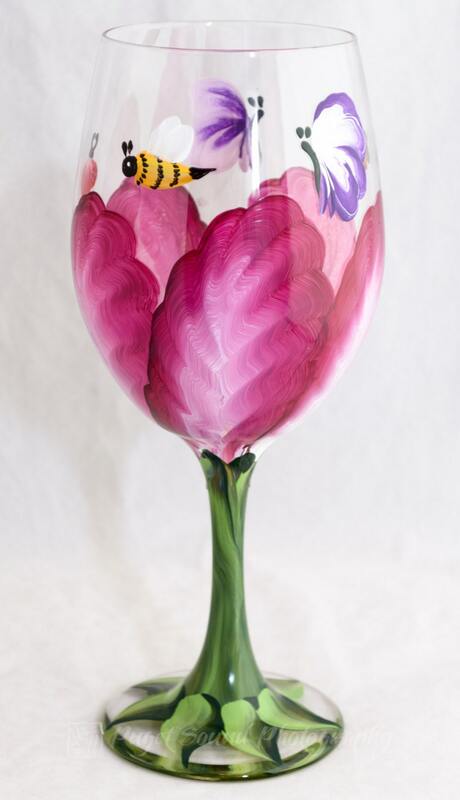 20 oz - These drinking glasses are painted with a Tulip Design and as though a flower is in bloom. The details of the stamen and pollen trails are meticulously created with small paint patterns which adds a 3-D effect to the flower in bloom. 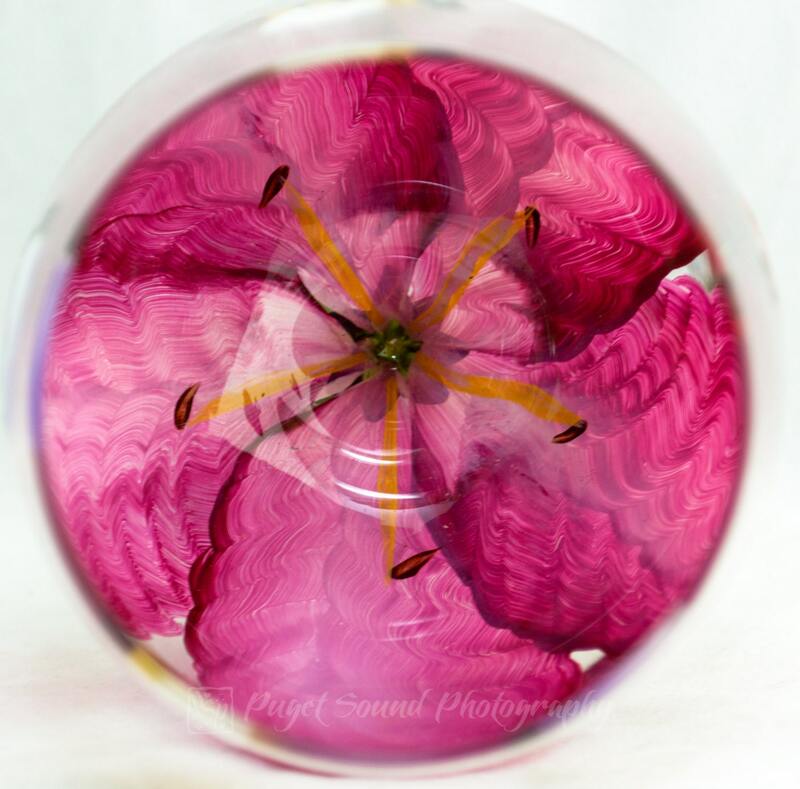 Look inside each glass and it is revealed how beautifully mastered and crafted they are. 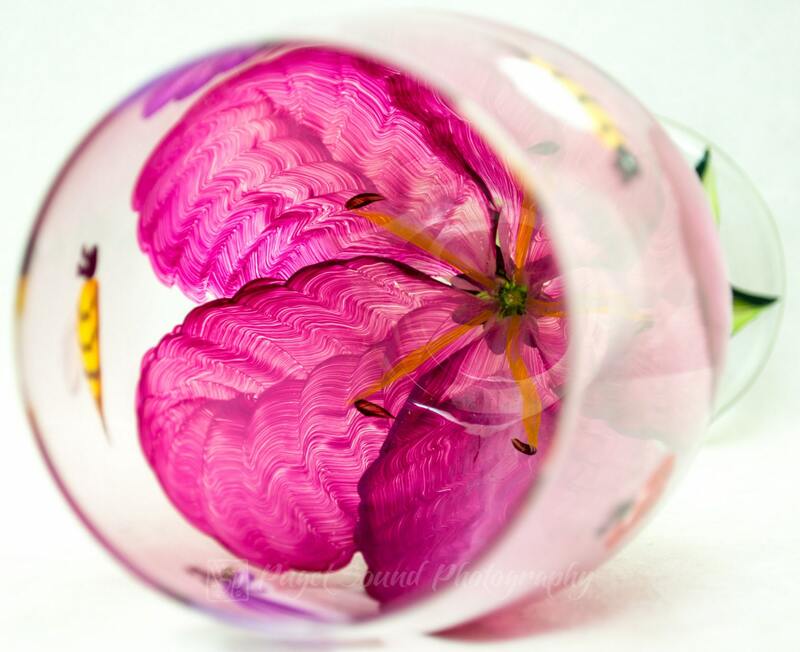 All of the paint is on the outside of the glass creating the illusion of a flower in bloom. The glasses can have butterflies, bees, dragonflies and/or ladybug insect charms and leaf or solid stems.